Present your loved ones this Dashing Philips Epilator for Women and let them taste the real flavor of your love. 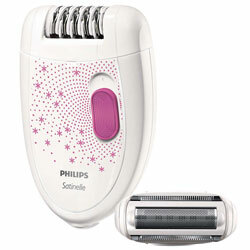 This Epilator comes with some specifications like 21 Number of Discs, 1 Speed Setting and 20 Number of Catching Points. Flowers Delivery Jaipur, Send sweets Kurnool, Wedding Cake Kochi, Diwali Mithai Kollam, Send Flowers and Gifts to Khanna, Online Shop Tellicherri, Flower to Hazira, New Year Flowers Modinagar , Fresh Fruits Bhusawal, Send Gift Pratapgarh, Dry Fruits to Hapur, Birthday Delivery Varanasi, Sending to Buldhana, Flower shop Kakinada, Gurgaon Online Cake Delivery.